As spring arrives in the Appalachian Mountains, construction remains frozen on a majority of the Atlantic Coast Pipeline’s proposed route due to a slew of court decisions. Work is also halted at water crossings and national forests along the Mountain Valley Pipeline’s intended route. In a March interview with Bloomberg Television, Duke Energy CEO Lynn Good conceded that the monopoly utility might need a “Plan B” if the Atlantic Coast Pipeline fails to overcome opposition. Duke owns a 47 percent share in the proposed fracked-gas pipeline. Good noted that Duke “remains committed” to completing the pipeline, which is estimated to cost up to $7.5 billion. When asked at what point the utility would consider the project too expensive, Good refused to comment. Good told Bloomberg that if the Atlantic Coast Pipeline project fails, Duke will likely look into a pipeline from eastern to western North Carolina. In West Virginia, a federal agency allowed TransCanada to begin full service on the 170- mile Mountaineer XPress Pipeline in March. The state had fined TransCanada $122,350 in November for environmental violations, and pipeline construction contributed to numerous landslides throughout winter. Developers had documented 260 landslides as of Feb. 26, according to nonprofit environmental group Ohio Valley Environmental Coalition. In March, lead Atlantic Coast developer Dominion Energy stated that pipeline construction likely will not resume until the third quarter of 2019. This comes after the U.S. Fourth Circuit Court of Appeals negated several key federal permits in late 2018, including one issued by the U.S. Forest Service that would have allowed the pipeline to cut across two national forests and the Appalachian Trail. On Feb. 25, the Fourth Circuit refused developers’ request to rehear that case, and a Dominion spokesperson stated that they planned to appeal to the U.S. Supreme Court within 90 days. In December, the Fourth Circuit suspended a U.S. Fish and Wildlife Service permit that would have allowed Atlantic Coast developers to cut through the habitat of threatened and endangered species. A hearing was set for March, but the federal court pushed it to May 9 due to the government shutdown. The Southern Environmental Law Center, a nonprofit law firm, is representing several environmental groups in both cases. In March, student reporters from Morgantown High School in Morgantown, W.Va., interviewed Atlantic Coast Pipeline Lead Engineer Brittany Moody and found that the project would provide about 20 permanent jobs in total. The students worked with PBS NewsHour’s Student Reporting Labs. Previously, developers had stated that the pipeline would create 82 permanent jobs, a claim that originates from a 2014 report prepared for Dominion Energy by research firm Chmura Economics and Analytics. The Atlantic Coast Pipeline is implicated in another lawsuit, this time at the pipeline’s southern endpoint in Robeson County, N.C. The case involves whether the Robeson County Commissioners should have issued a permit for a pipeline-related metering facility and 350-foot tower in the town of Prospect. In March, a county judge postponed a hearing until April 15. 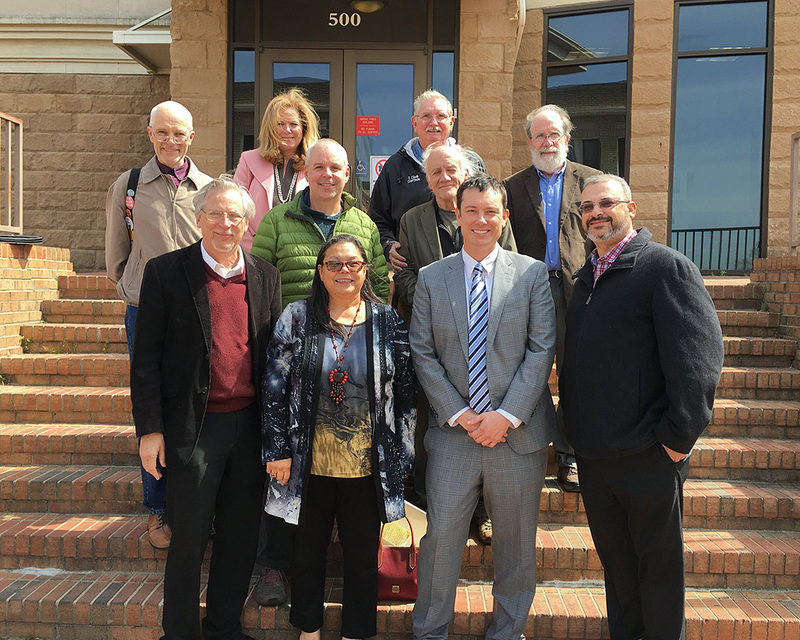 Four of the five plaintiffs — Tammie and Dwayne Cummings and brothers Robie and Dwayne Goins — are members of the Lumbee Tribe, and plaintiff Cecil Hunt is of the Tuscarora Tribe. All but Robie Goins own land adjacent to the proposed pipeline facility. The 93 percent Native American community, population 981, already has a natural gas compressor station owned by Piedmont Natural Gas, which leaked gas in November 2017. In August 2017, the Robeson County Commissioners unanimously voted to allow pipeline developers to build the station in Prospect, expecting $6.5 million in tax revenue for the county. The site would be on land that was previously zoned as agricultural. Dwayne and Robie Goins filed a petition that October with the Robeson County Superior Court alleging that the commissioners illegally granted the permit to Atlantic Coast developers by failing to hold a proper public hearing. The other three plaintiffs joined afterwards. 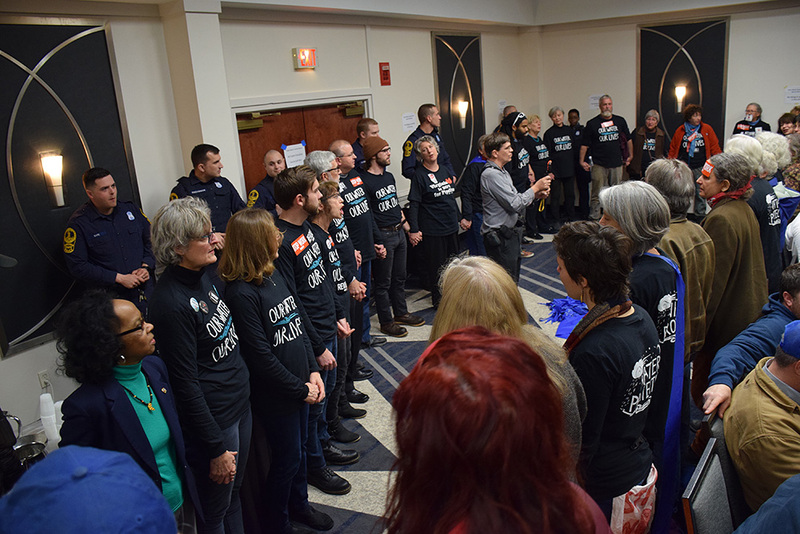 The N.C. Alliance to Protect the People and Places We Live, a nonprofit advocacy group fighting the pipeline, is raising money to fund the legal fight. 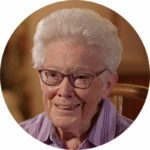 Learn more about the case at APPPL.org. Additionally, North Carolina law states that governing boards deciding on a special permit are not supposed to have a fixed opinion on the issue prior to receiving all of the evidence. According to NC Policy Watch, the Robeson County Commissioners passed a resolution in support of the pipeline in 2014, which later appeared on Duke Energy letterhead. Cecil told NC Policy Watch that the judge can either deny the permit, affirm its issuance or send it back to the board to be reconsidered. As of April 9, the North Carolina legislature was investigating Gov. Roy Cooper for his involvement in the state’s issuance of permits to Atlantic Coast developers. On Jan. 26, 2018, the state Department of Environmental Quality granted key permits for the pipeline’s construction in the state. That same day, Gov. Cooper announced that Duke and Dominion would pay into a $57.8 million clean energy and environmental mitigation fund slated for communities in the pipeline corridor. Then-Virginia Gov. Terry McAuliffe also signed a $57.8 million environmental mitigation agreement with the monopoly utilities right before he left office in early 2018. The North Carolina fund would have been under Gov. Cooper’s control, but the legislature took control of the proposed fund later in 2018 and redirected any future dollars to school districts in the pipeline’s path. In December 2018, the governor’s office released more than 19,000 pages of documents related to the pipeline and the $57.8 million deal which show that Duke and Dominion had close access to the governor. Additionally, legislators claim the records show that Gov. 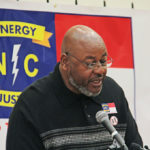 Cooper used Atlantic Coast permits as a bargaining tool to get Duke to support solar policy changes that benefitted a Cooper family business partner, according to the Raleigh News & Observer. While the governor was negotiating the multimillion-dollar fund, Duke was at a standstill in talks with solar companies on how much power the monopoly utility would purchase from them, WBTV reports. Strata Solar CEO Markus Wilhelm, whose company used to rent land in Nash County from Gov. Cooper and still does from his brother, came to the governor in 2017 and asked him to speak with Duke leadership about the impasse. Days after the state issued the Atlantic Coast permits in January 2018, Duke reached a deal with solar companies that resulted in the utility purchasing more solar power. A legislative oversight committee hired private investigators to look into the matter. The governor’s Chief of Staff Kristi Jones has called the investigation an “extraordinary open-ended political fishing expedition,” according to the News & Observer. 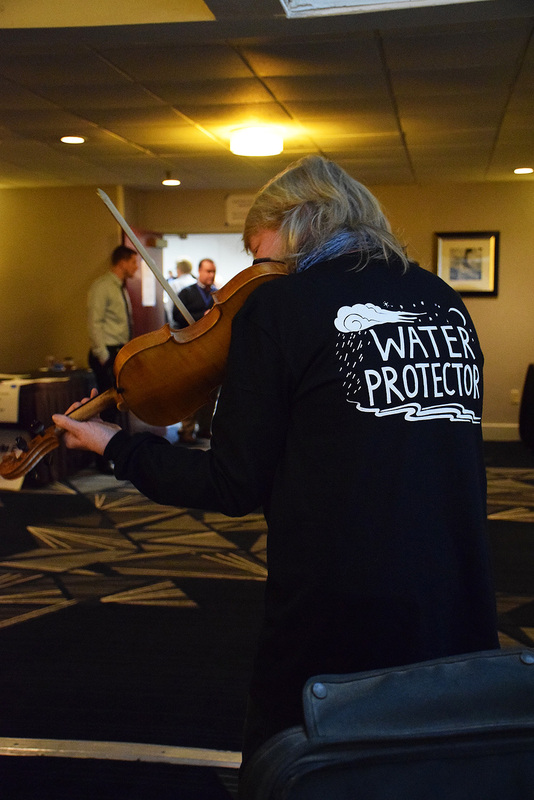 On March 1, the Virginia State Water Control Board unanimously voted to stop pursuing revocation of the Mountain Valley Pipeline’s Clean Water Act permit. 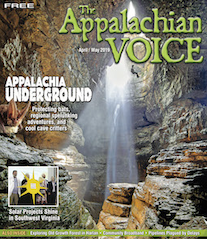 Environmental groups including Appalachian Voices, the publisher of this newspaper, denounced the board’s decision. 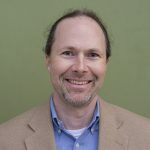 “The public is so interested in this process and this permit, and I think they deserve a much better explanation for the board’s about-face,” Appalachian Voices’ Peter Anderson told The Roanoke Times on March 9. 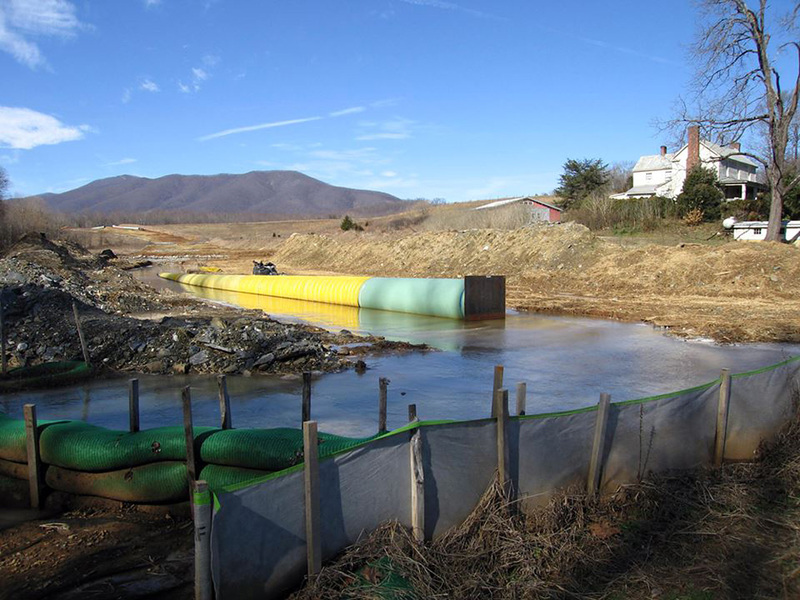 The board had previously voted in December to consider revoking the project’s certification after developers racked up more than 500 reported violations of the permit and Virginia’s water pollution laws during construction. In an attempt to explain their most recent vote, board members stated they had no authority to strip the pipeline of the permit. However, the certification that the board previously approved included the stipulation that the board may revoke it for noncompliance. The board claimed they relied on the advice of an assistant attorney general, but the Attorney General’s office as well as the DEQ declined to offer an explanation, according to the Roanoke Times. 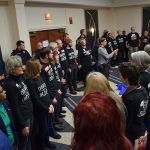 After the March 1 meeting, a board member told the Roanoke Times that because the board’s certification alone did not authorize Mountain Valley Pipeline, LLC, to do anything, it was not technically a permit and could not be revoked by the board. More than 300 of the pipeline’s permit violations are cited in a lawsuit against Mountain Valley filed by Virginia Attorney General Mark Herring in late 2018. Environmental groups are calling on state officials to order a stop to construction while the suit is pending. Construction along some of the route remains at a standstill as federal agencies have not reissued two permits to Mountain Valley that were thrown out in 2018 by a federal court. On March 18, Virginia Del. Chris Hurst sent a letter to the DEQ requesting an immediate stop-work order on the entire pipeline. “Clearly there is evidence of violations and a lack of seriousness on the part of the Mountain Valley Pipeline, LLC,” wrote Hurst. In March, Mountain Valley sued three Alamance County, N.C., couples to gain access to their land to survey for the company’s proposed 73-mile Southgate pipeline extension into the state. Three days before a scheduled April 1 hearing, two of the couples gave consent for Mountain Valley to enter their land, according to The Times-News. A hearing for the company’s access to the third couple’s land was scheduled for April 26. Mountain Valley claims that state law allows them to enter people’s land to survey it before eminent domain proceedings. However, developers are unable to condemn the land without the Federal Energy Regulatory Commission’s approval. A hearing was set for April 1. FERC announced in March that they would release a draft Environmental Impact Statement for MVP Southgate in July, which will be followed by a public comment period. The agency expects to release their final environmental study by December and decide whether to approve the fracked-gas pipeline by March 2020. On March 23, two tree-sitters in the path of the Mountain Valley Pipeline in Elliston, Va., celebrated their 200th day above ground. The protest was still going strong as of April 9. 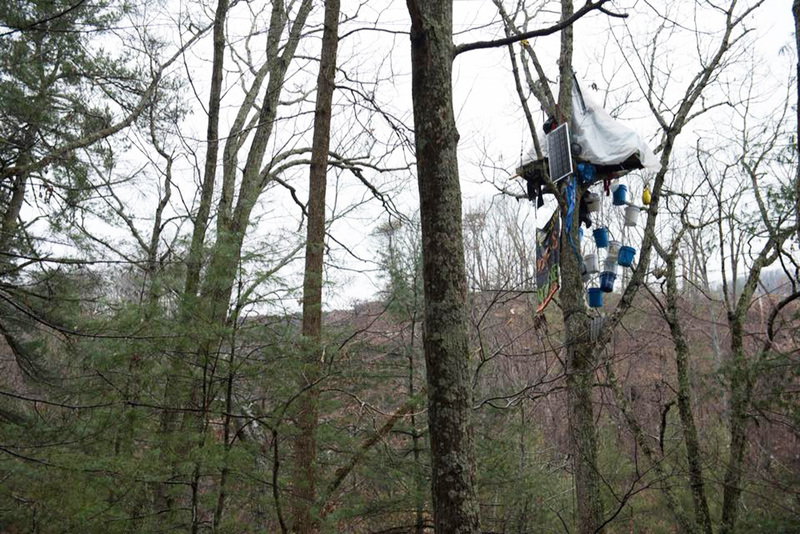 On April 5, Virginia resident Scott Ziemer relieved one of the two tree-sitters, according to Appalachians Against Pipelines. Ziemer, 69, lives close to the Atlantic Coast Pipeline’s planned route. 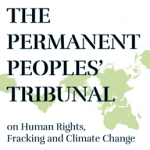 In December, Mountain Valley Pipeline, LLC, asked a federal judge to fi ne the tree-sitters and authorize U.S. Marshals to forcibly remove them if they don’t comply. The judge had not issued a decision as of April 9. Editor’s Note: This story was updated from the print version on April 9, 2019, to include new information.